Cell sorting implies the capacity of a technology to segregate cells in a sample based on specific parameters, usually on cell properties. The properties on which cell sorting takes place can be extracellular or intracellular, where the former refers to the size, surface protein expression, and morphology, while the latter refers to protein molecule interactions, RNA, and DNA. So far, the science and process of cell sorting has been an extremely valuable tool in the research efforts taken up in physiology and medicine. The general methods of cell sorting have changed over time. The more primitive methods, while still used and in some cases useful, are far too inaccurate and inefficient to meet with modern requirements. The overall methods can be segmented into single cell sorting, FACS, and magnetic cell sorting. Single cell sorting involves the separation of a heterogeneous cellular mix on the premise of multiple intracellular and extracellular properties. This process can involve IsoRaft arrays or DEPArrays. Fluorescent activated cell sorting makes use of flow cytometry in order to provide rapid results that are both objective as well as qualitative in terms of measuring cellular properties. However, FACS does not make use of cell morphology as a parameter for sorting. Magnetic cell sorting can be used to enrich a mix of cells primarily heterogeneous, by differing between cells based on extracellular properties. This process commonly makes use of antigen composition on the cell and can be segmented into MACS or SEP. The global market for cell sorting has witnessed significant traction in the past few years. Factors such as increasing and easy availability of advanced cell sorters in the global market, rapid technological advancements in product features, and increasing investment and funding are among the key factors to have driven the market in recent times. Over the period between 2017 and 2025, the market is expected to gain increased traction owing to the thriving biotechnology and pharmaceutical sectors globally and the rising usage of cell sorters for research purposes. The market will also be driven due to the vast rise in prevalence of chronic diseases such as cancer and diabetes, the pressing need for the development of targeted therapies, and increased healthcare expenditure across emerging economies. However, factors such as the lack of awareness regarding cell sorters, lack of trained resources, and the high cost of instruments will hamper the growth prospects of the market to a certain extent in the next few years. This report on the global market for cell sorting provides a detailed overview of the market’s growth trajectory over the past few years and projections regarding the future scope of growth over the period between 2017 and 2025. The report combines vast primary and secondary information collected via a variety of industry-standard sources over the course of research. Primary research forms the bulk of the research efforts, with data sourced from e-mail interactions and telephonic interviews. Secondary research efforts involved the detailed analytical overview of data sources such as stock analysis presentations, company websites, annual reports, press releases, and data from national and international databases. Growth rates for all key segments included in the report within the global cell sorting market have been determined through a detailed analysis of technological developments, past and present trends, and regulatory aspects. The report also presents an analytical overview of the determining factors such as growth drivers, restraints, opportunities, and market trends. 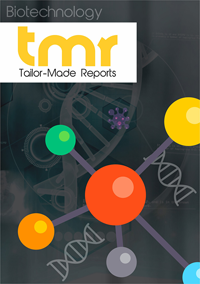 In addition, the report also contains a detailed market attractiveness analysis by country, applications, and end-user, along with a comprehensive account of the competitive landscape with the help of detailed profiles of key players operating in the global cell sorting market. The competitive scenario between leading vendors in the market has been examined with the help of a market share analysis. On the basis of geography, the report analyzes the global cell sorting market across regions such as Asia Pacific, Europe, North America, and Middle East and Africa. Of these, North America is presently the leading contributor of revenue to the global cell sorting market, owing to the thriving pharmaceutical and biotechnology industries in the region. The large number of pharmaceutical companies operating in the region are also driving the increased demand for cell sorters. Moreover, the rising prevalence of a number of chronic and autoimmune diseases is also contributing to the increased demand for cell sorters in the region. Over the report’s forecast period, however, the cell sorting market is expected to observe a significant rise in promising growth opportunities across Asia Pacific. The region, with emerging economies such as China and India, is increasingly becoming a preferred destination for companies in the cell sorting market owing to the vast rise in prevalence of diseases such as cancer and funds being poured into research and development activities. Some of the key vendors operating in the global cell sorting market are Bio-Rad Laboratories, Inc., Becton, Dickinson and Company, Affymetrix Inc., Sysmex Partec GmbH, Union Biometrica, Inc., Sony Biotechnology, Inc., On-Chip Biotechnologies Co., Ltd., Miltenyi Biotec GmbH, Cytonome/ST, and Beckman Coulter, Inc.